Facebook is a resource that will only continue to grow in the coming months and years. Facebooks expansion is predicted to eventually surpass MySpace's and when that happens, you already want to have your monetization in place. * Build Your Facebook Marketing Strategy From The Ground Up! * Understand the Unique Marketing Mind Set Involved In Facebook Marketing! * How To Use Social Ads To Boost Your Sales! * Use New Changes To Facebook To Your Advantage! 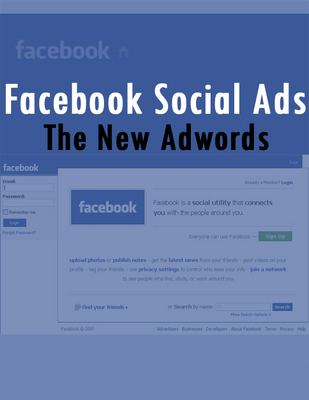 Facebook Social Ads facebook ads;facebook advertising 80460913 8.99 wohli1963 Fresh Download Available!